This post is sponsored by fairlife ultra-filtered milk. All thoughts are my own. One of the very first things I learned when I began my journey to a healthier lifestyle was that working out is only a small part of the battle. Don’t get me wrong, it’s important to work out to stay healthy. It’s also important to take care in what you consume. Your body needs lots of great nutrients in order to keep it healthy, and to get the most out of your workouts as well. This is such a HUGE part in overall nutrition, and it’s one that cannot be overlooked. What this doesn’t mean, however, is that you can no longer have yummy foods! In fact it’s quite the opposite, I was surprised to find how many options there are out there that are appealing both to my taste buds, and to my overall nutrition goals! fairlife ultra-filtered milk is one great example of this. What is fairlife ultra-filtered milk? It’s like traditional dairy milk… only better! fairlife ultra-filtered milk has 13 grams of protein compared to ordinary milk’s and half the sugar of ordinary milk. This makes it a very simple and easy way to make an immediate change to your health regimen. Another awesome thing I love about fairlife ultra-filtered milk is that it comes from family owned farms where animal care and environmental sustainability are top priorities! That’s just a few of the many reasons I love using ultra-filtered milk! My favorite is chocolate fairlife ultra-filtered milk. 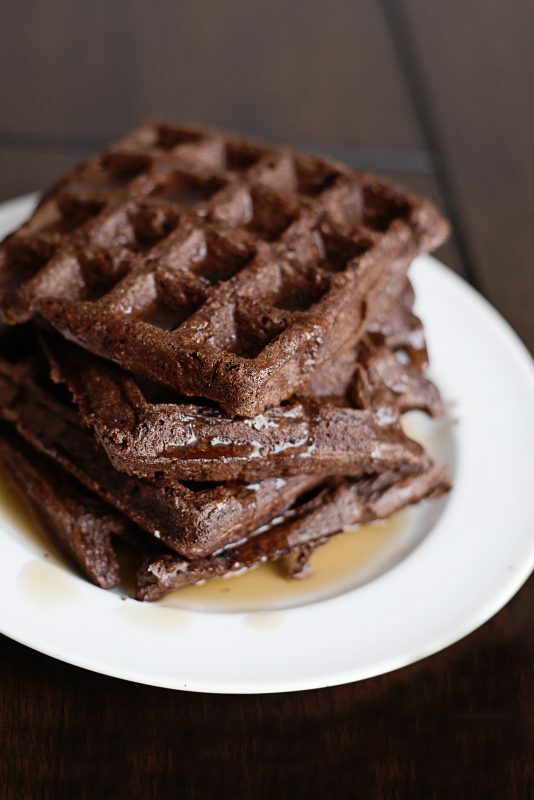 It allows me to indulge in the decadent taste of chocolate, without having to feel guilty. That’s because it’s reduced fat, and has half the sugars of ordinary chocolate milk! It also is jam packed with 13 grams of protein, and is filtered to concentrate the natural protein and calcium… without needed to add the outside sources. 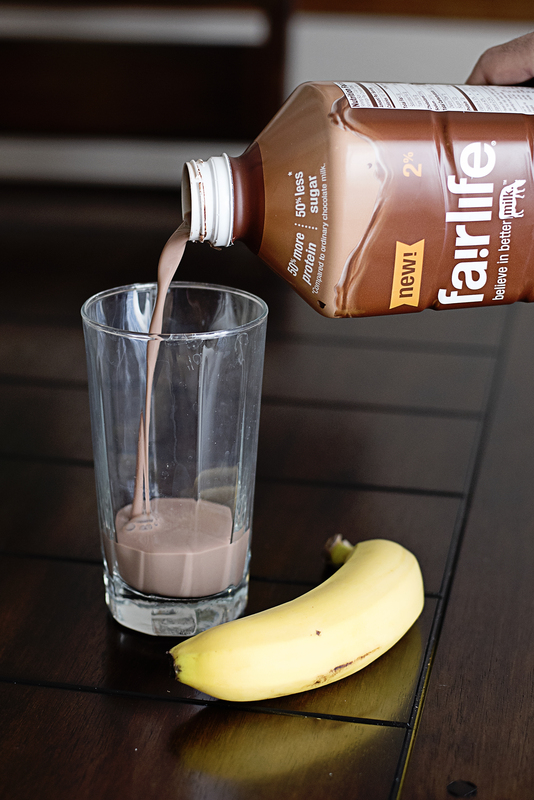 fairlife ultra-filtered milk can be used as a substitute for pretty much anything you’d use regular milk for. It’s even filters out most of the lactose and coverts what little remains with an enzyme so if you’re lactose intolerant you can use it too! Other lactose-free milks covert all the lactose with an enzyme, making their milk taste sweet. 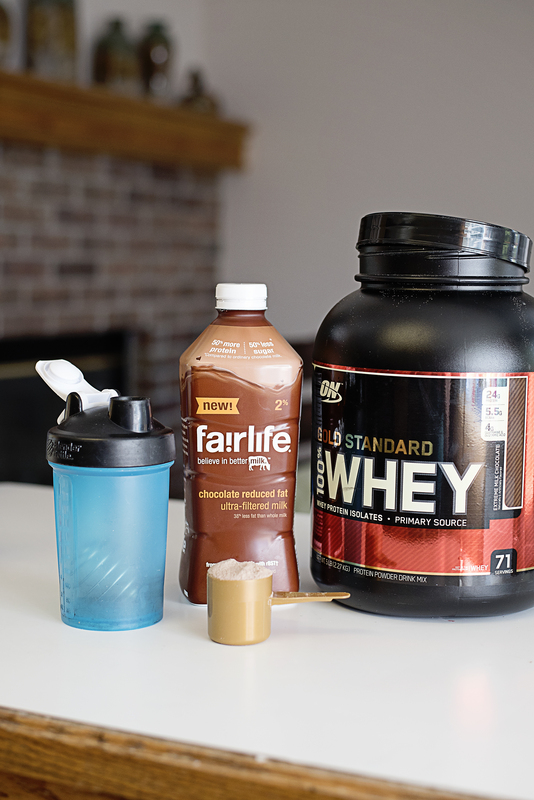 Personally, I use chocolate fairlife ultra-filtered milk mixed in with my chocolate protein power for a rich chocolate taste and protein boost. 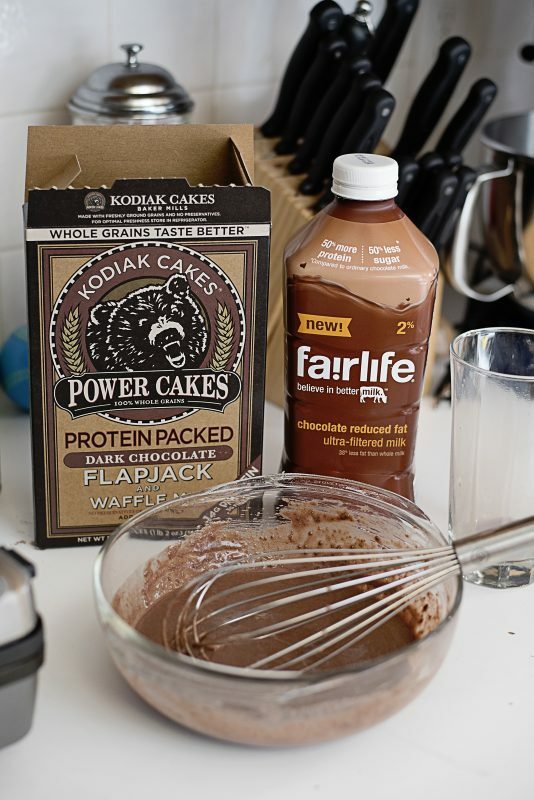 I mix it in with chocolate Kodiak power cakes (waffles) to make a complete pre-workout meal, and sometimes I just pour it into a glass and enjoy it straight along with a banana. The ladies in one of my own line fitness groups often boast about their love of fairlife ultra-filtered milk as well! Some of them use it in their coffee, or with espresso for their morning lattes. Others mix it with protein powders and frozen fruit to make delicious milkshakes. One of the ladies in my group cooks her muesli in it. Many of them just drink it straight, or pour it over their cereal. There are so many ways you can get creative with using fairlife ultra-filtered milk, and it’s perfect for those who are just beginning their journey to a healthier lifestyle. One simple switch can make all the difference! ← Get the best Minecraft games, toys & collectibles at BestBuy!